The acting chairman of the Economic and Financial Crimes Commission (EFCC), Ibrahim Magu, has vowed to pursue the case against wanted former Chairman of the defunct Presidential Task Force on Pension reforms, Abdulrasheed Maina, to a conclusive end. 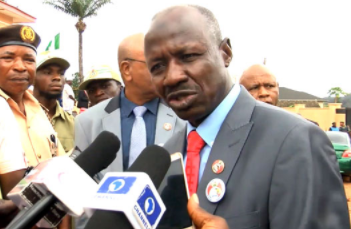 Speaking when he appeared on Channels TV this morning, Magu said the commission has commenced the renewed investigation into Maina's case and that they are determined to get to its logical conclusion. Acctording to the EFCC boss, it is still surprising to know that Maina came into Nigeria despite the fact that he has been on the watch list of the anti-graft agency.